Do you consider yourself to be an artist? Or, perhaps you just like drawing in your spare time? There is no doubt that doodling and drawing can be a great way to release your stress and relax yourself after a stressful day at work. 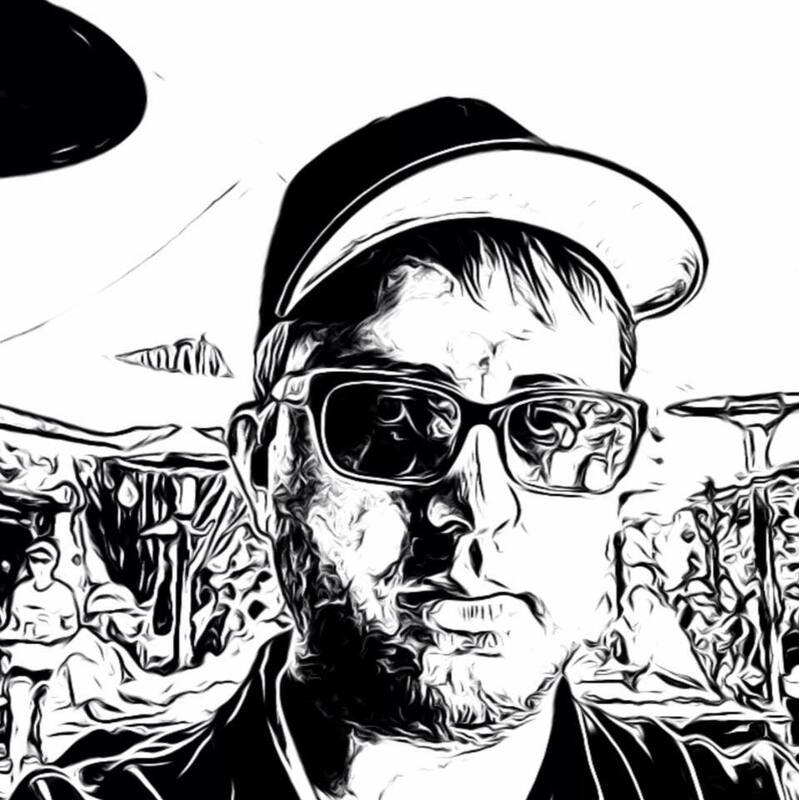 The tools available to artists have changed significantly over the past few years. Today, artists are capable of incorporating technology into their masterpieces. With computers and other high-tech gadgets, the artist will be able to greatly improve their masterpieces, while also ensuring that they’ll last a lifetime. Digital artworks cannot be destroyed, whereas traditional paintings are always vulnerable. This is why you should consider investing in a cheap drawing tablet. 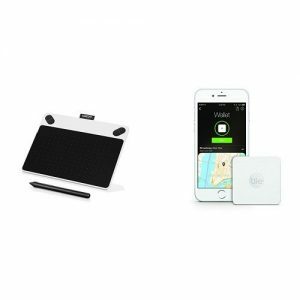 With one of these devices, you’ll be able to create artwork cheaply, easily and from the comfort of your own home. More details will be provided below for your consideration. What Is A Drawing Tablet? If you’re not familiar with the drawing tablet, you’ll want to go ahead and get a better understanding of these products. The good news is that they’re fairly basic in terms of purpose. If you use a tablet or smartphone on a regular basis, you’ll have no trouble using a drawing tablet. These devices can be connected to your computer. After the connection has been made, you’ll be able to draw on the tablet and show the artwork on your screen. They come with a stylus, which will be used as the drawing utensil. These tablets work with an abundance of software, including Photoshop. There is also a good chance that your tablet will come with a free software, so you can begin utilizing it as soon as it arrives at your home. We all know that a good drawing tablet allows you to have the finest degree of accuracy in your work. 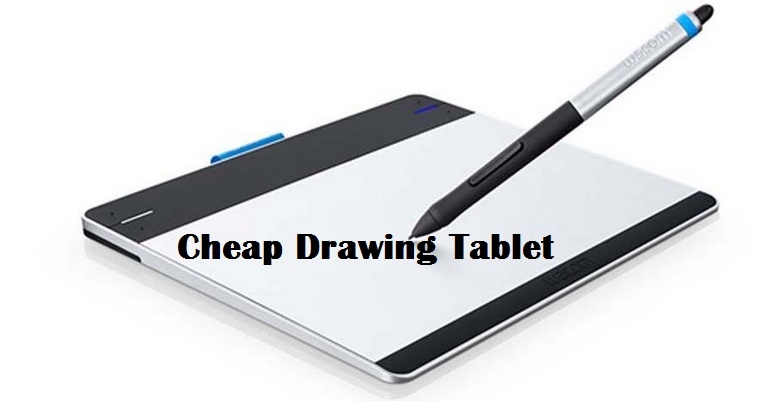 Below I have listed what I believed are the best cheapest tablets for artists on the market. Drawing will never be easier or more exciting than with Ugee M708 Art Design Graphics Drawing Table. This device offers a smooth operation, with all the necessities to ensure perfection. However, it is important to note that not everyone can achieve a beautiful work of art on the first use. In fact, it takes a bit of practice and patience to achieve success. But, you can definitely have fun drawing on the Ugee and you will never have to worry about messy cleanups. The Ugee M708 Tablet device works with most computer systems to add more convenience to the process. It is compatible with Windows 7, 8, 10, Vista and XP, as well as Mac OS 10.6.x or above. Make sure your operating system is compatible with the drawing tablet, before making a purchase. If you do purchase the Ugee M708 and discover later on that it is not compatible with your network, you can send it back to the manufacturer for a full refund. The tablet is also compatible with Photoshop CC, LightRoom, PixologicZBrush, Corel Painter and Adobe Photoshop. Artists and others do not appreciate limitations, especially when it comes to the drawing area. Well, that is something you will not need to worry about with the Ugee M708, as it offers a drawing area of 10” X 6”. With this much space, you will be able to scribble, sketch and draw some of the most amazing things with ease. 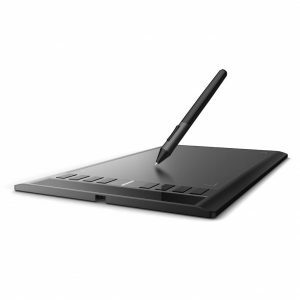 The drawing tablet includes a high-quality pressure sensitivity pen. The pen is designed to provide a smooth operation, with little to no effort. It is also very diverse, as it allows users to choose from a thin, thick or dark line. The tip glides smoothly over the surface of the drawing area, which is something that is not offered with other brands. As mentioned above, the pressure sensitivity pen is extremely diverse. It is designed specifically for both right- and left-handed users. If you are left-handed, you will definitely appreciate this design. The pen is large enough to fit perfectly in your hand, whether you are female, male, a teenager or young child. 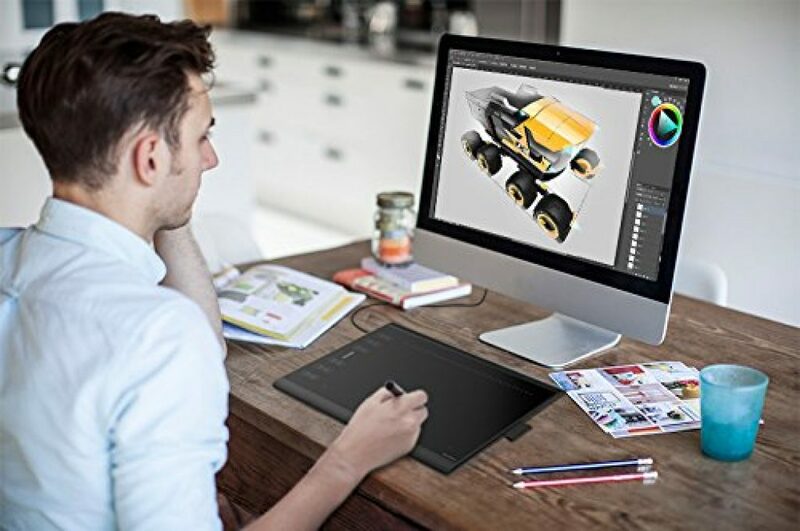 The Ugee M709 Graphics Drawing Tablet is perfect for artists and enthusiasts living on a strict budget. The sensitivity is fabulous and with 2048 levels of pressure, you are in full control. The resolution is much better than other brands, which is pretty amazing for such an affordable brand. You will be able to bring your art ideas to life with the Ugee. Are you a creative person that likes to take your creative abilities to the next level? If so, you should consider investing in the Huion Company. With their new drawing tablet, you will literally have the freedom and technology to complete a variety of different projects. The Huion Company is completely unique because they are a nationally supported high-tech enterprise that has the ability to develop and research independently. This means that they are not constrained by any contracts or demanding investors. 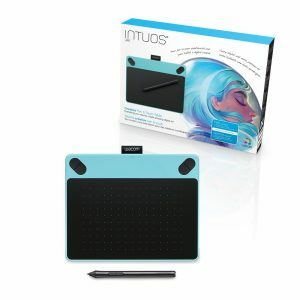 This gives them the unique ability to freely develop their products as they see fit, and they have blown the market away with their 1060 Plus Graphic Drawing Tablet. With the Huion 1060 Graphic Tablet, it doesn’t matter if you are working on a comic book series or just a single drawing, because with the 8GB memory card, you truly have the ability to store and save a variety of projects. This not only gives you the ability to save your work, but you can literally take it anywhere. In addition to this, if you discover that you need more memory, the card can be extended to 64GB, which is an incredible amount of space. Have you ever tried drawing on a small sheet of paper? Well, you probably already know what a hassle this can be. However, with the 1060 drawing tablet, this is something that you will never have to experience. Thanks to the 10-inch x 6.25-inch screen, you will have a large amount of space to work with. 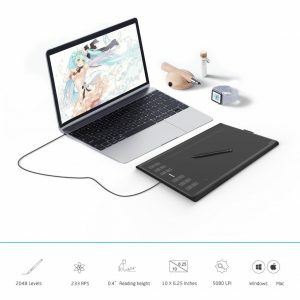 This not only makes your drawing experience comfortable, but you will have a large area to extend and expand your drawing to depths that you have never taken them before. 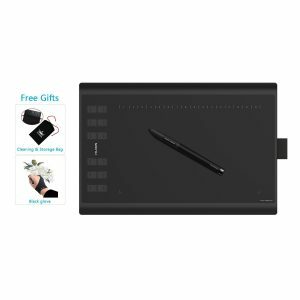 When you combine this feature with the 2048 levels of pressure sensitivity, you truly have an amazing drawing tablet that will let your creative side excel. Right away you will notice the 12 express keys located on the left side of the pad, and the 16 soft keys located right on the top of the pad. While each key is already assigned to a function, they can be completely customized, so that you can assign each key a different function. This allows the user to completely customize their experience in anyway that they see fit. After sinking you- hard earned money into a product, the last thing you want is to damage it. This is exactly why the 1060 drawing tablet comes with two protective accessories that will ensure your drawing tablet is always safe. Upon the purchase of this product, you will receive a protective drawing glove, along with a protective carrying case. The case will ensure the tablet is safe when you are not using is and the glove will protect against scuffs and scratches during use. With the 1060 Drawing Tablet, you really can let your creative side. This device is undoubtedly well worth the investment! If you are an artist, there is a good chance that you have come across several different graphic tablets. However, you have probably never seen one that can offer what the XP-Pen G430 can. With the 2mm design this drawing tablet is completely portable, convenient, and can literally be taken anywhere. Whether you spot a landscape that you want to sketch out, or portrait that you want to capture, you will have the freedom to do so with the XP-Pen G430. You don’t have to be a professional artist to appreciate the size of the screen on this tablet. With a 4-inch x 3-inch screen space, you literally have the freedom to sketch and draw a variety of different projects at any size of your choosing. The large screen also provides users with a more comfortable working environment. With a larger workspace, you will experience less hand cramps after long hours of drawing. If you are an artist, you are probably already familiar with a variety of different graphic applications. In fact, you probably have some that you are somewhat partial to and feel comfortable working with. Well, with the XP-Pen G430 working with your favorite programs and computer shouldn’t be a problem, as the tablet is compatible with MACs and windows computers. In addition to this, the tablet is compatible with graphic programs like Corel Painter, CorelDraw, Adobe Photoshop, Adobe illustrator, and many more. Do you sometimes like to take a break in the middle of your projects and relive a little bit of stress by partaking in some games? If so, the XP-Pen G430 was designed specifically for you. This unique table has the ability to play games, sketch, draw, and even paint. And, one of the best things is that there are no additional drivers that have to be installed to take advantage of this product, so the installation is a simply plug and play. Don’t you just hate getting a new product, unpacking it, and then realizing that you have to wait until it charges before you can use it? Well, that will not be the case with the unique battery free design of this product. Thanks to the battery free operation, you don’t need to wait for the product to charge up, just simply plug it in and you are ready to start. This also gives you the freedom to work completely uninterrupted for hours at a time. Never worry about the battery dying on you right the middle of an important project and losing everything that you have worked so hard far. While you have probably come across tons of drawing tablets in your time, there is a good chance that you haven’t seen anything like the XP-Pen G430. This product is completely affordable with features that can only be found on the most expensive tablets on the market. If you are on the market for a new, innovative graphics drawing tablet that will not break the bank, you may find the XP-Pen Star05 suitable for your needs. This brand is guaranteed to offer durability and longevity, so you will be ensured to get your money’s worth from this investment. The tablet comes with everything you need to get started drawing right out of the box. The stylus is high quality and suitable for all age groups. The XP-Pen Star05 Tablet offers a plug and play installation. In fact, you just need to plug the USB receiver into your computer. Once the receiver is connected, you will be able to draw until your heart is content. The tablet is also capable of working without the USB receiver being connected to your computer. It utilizes FHSS and ISM 2.4G to connect wirelessly to a compatible device. The wireless connection offers more flexibility. Since you do not need to worry about a wire, you will be able to move around and position your body better. Plus, you do not need to worry about being right next to your computer. The XP-Pen Star05 2.4G Graphics Drawing Tablet is idea for teens, children, professionals and nonprofessionals. The stylus works smoothly, offering full control and comfort. The battery runs for 14 hours on a full charge, which will give you plenty of time to draw until the next recharge. With the large variety of drawing tablets available on the market today choosing one can be quite a difficult task. Well, that was until you came across the Huion 1060-upgraded version. There is probably a good chance that you have seen the previously popular Huion 1060. However, the new and upgraded version takes the tablet to the next level. With the ability to choose between left and right hand drawing all kinds of users can take advantage of this amazing product. The tablet comes setup for right handed applications, but it can easily and quickly be switched over to left handed drawing. Just like the older version the new upgraded version comes with 28 keys that can be completely customized. With the 12 keys located on the left and 16 on the top, users can program these keys to match their own personal preferences. This allows you to maximize your creativity and efficiency. Make choosing your next drawing tablet an easy choice by going with the upgraded Huion 1060 drawing tablet. 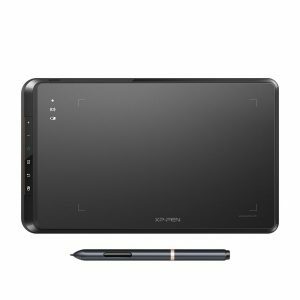 If you’re looking for an incredibly affordable drawing tablet, you owe it to yourself to check out this gem from Monoprice. 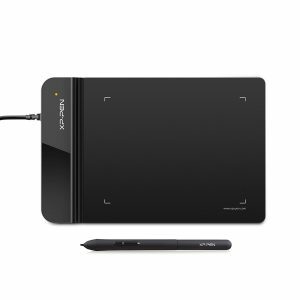 Despite the low price, the Monoprice Graphic Drawing Tablet will be sure to satisfy the mass majority of artists. It offers a drawing space of 10 by 6.25-inches. This is great. While the tablet is spacious, it is still small enough to be convenient to carry from place to place. The tablet also delivers a 200 RPS report rate, so you can guarantee that everything you do will be perfectly translated to the computer. This drawing tablet is pretty much compatible with all computers. It works with Windows computers with the XP operating system and later. It also works great with Mac computers. As long you have the 10.4 operating system or later, this tablet will work flawlessly with your computer or laptop. With this tablet, you’ll never run into any roadblocks. At the end of the day, the Monoprice Tablet is definitely well worth the price. It has a few minor cons, but they’re not deal breakers. In fact, this tablet will make a great investment for most artists. There are many excellent tablets on the market, but you should realize that it is nearly impossible to lose with the Wacom Intuos CTH490AB Drawing Tablet. This tablet will provide you with everything needed to get the job done right. You’ll be able to make some amazing masterpieces whether you’re at home or at the local park. Continue below to learn more about this amazing device. One of the best things about the Wacom CTH490AB Tablet is the fact that it does not need a tablet. This can make a big difference in the long run. 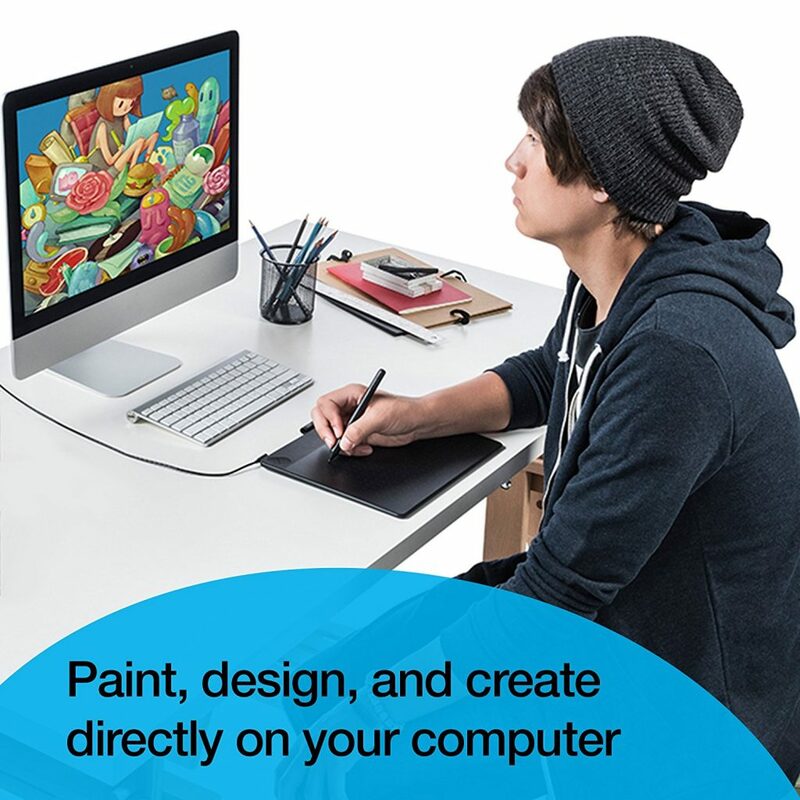 With this tablet, you’ll be able to plug in the cable and create masterpieces for the rest of the day or night. Plus, you’ll be able to save yourself some money over the long run. The Wacom Intuos CTH490AB Tablet is pretty amazing. It might be affordable, but it will definitely satisfy most consumers. Be sure to check out this one for yourself right now! There is no doubt that you can trust Wacom. This company has been designing and manufacturing drawing tablets for a lengthy period of time. On top of that, almost every one of their products has received pretty good praise from consumers. If you want to make sure that you’ve spent your money well, you should definitely think about investing in the Wacom Intuos Draw CTL490Dw Tablet. This tablet offers numerous benefits that help to set it apart from the rest. You’ll learn more about this tablet below. One of the great things about this tablet is the fact that it requires no battery. This helps to ensure that you’ll be able to use this tablet over and over again, without needing to spend excessively on replacement batteries. Plus, you’ll never have to worry about lugging batteries around in your pocket. Just plug the cable into your computer and the tablet will receive power continuously. Another great thing about the CTL490DW Tablet is the fact that is equipped with a pressure sensitive pen. This will make a world of difference for any serious artist. With this pen and tablet, you will be able to create a wide variety of lines and the thickness will depend on the amount of pressure you apply. If you want to create small lines for hair, you can do so. However, if you’re after thick, bold lines, you’ll be able to make those as well. With this tablet, the possibilities are nearly endless. Another great thing about this tablet is the fact that it is compatible with pretty much any computer. It works with Mac computers with operating systems 10.8.5 and higher. It is also compatible with Windows 7 and higher. Whether you’re a Mac fan or you prefer the old trusty Windows, you should never have any trouble utilizing this tablet. On top of that, this tablet works wirelessly and with the USB cable. Finally, you should know that this tablet is small and compact. You’ll have 8.25 by 6.7 inches of space to play around with. It is ideal for people that have limited space on their desktop, as well as people that want to create masterpieces on the go. All in all, the Wacom Intuos Tablet is definitely well worth the affordable price. It is very reliable and the price is right on the money. If you’re a beginner and want a great tablet, this one is definitely well worth checking out right now! Why Purchase A Drawing Tablet? Everyone that is an artist should definitely consider investing in a drawing tablet. The truth of the matter is that these products offer a wealth of benefits that cannot be found anywhere else. For instance, they’re more convenient and much cheaper than alternative methods of creating art. Below, you’ll find a breakdown of the major perks of investing in a drawing tablet. Cheaper – In the beginning, the price of a drawing tablet might seem expensive. However, it will actually be much more cost-effective in the long run. With one of these tablets, you’ll be able to create masterpiece after masterpiece without needing to purchase anything else. You’ll never need new paint, new pens or more paper. You can always just click on File and New. This will provide you with a brand-new canvas, without a fee. Convenient –Attempting to carry around tons of pens, pencils and paint brushes can be a hassle. With a computer and a drawing tablet, you’ll be able to lighten your load. If you’re the type of individual that wants to be able to create masterpieces on the go, you’ll absolutely love a drawing tablet. Fast – Another thing to remember is that drawing tablets are far quicker. With one of these tablets, you’ll be able to start and complete a masterpiece very rapidly. Then, you’ll be able to show it off to the masses almost immediately. You’ll never have to worry about waiting for your paint to dry. Fun Effects – Finally, you should realize that your computer graphics program will open the door to tons of amazing effects. 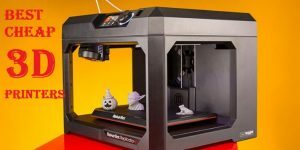 These programs can provide you with access to special effects that might not be available with conventional forms of art. Truly, drawing tablets can be very beneficial for modern artists. Whether you’re a professional or just like doodling in your free time, you’ll find that these tablets can be tons of fun. In fact, everyone should consider investing in a drawing tablet. In the long run, you’ll be glad that you did. When attempting to invest in a drawing tablet, you’ll quickly discover that your options are plentiful. There are tons of tablets out there and they all offer a handful of perks. However, there is a good chance that only one or two will be able to suit your individualistic needs. 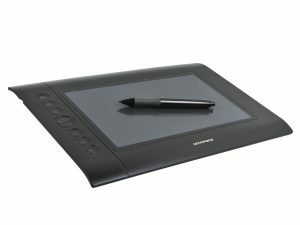 Below, you will find a breakdown of the most important things to consider when attempting to purchase a drawing tablet for your computer. There is no doubt that some drawing tablets can be expensive. And, there is a pretty good chance that you will not want to spend excessively. The good news is that you can find tons of excellent cheap tablets. To ensure you make the right choice, it is a good idea to set a budget for your investment ahead of time. Spend a little more is generally wise. This will help to ensure that you’ll get a responsive tablet that is actually fun to use. Another thing to remember is that everyone has a different computer. Some people have decided to stick with Windows 7, while others have made the upgrade to Windows 10. Then, some people have opted to invest in a Mac computer. To ensure that you choose the right tablet, it is absolutely pertinent to make sure that you choose a tablet that will be compatible with your computer or tablet. Some work with tablets, while others works with computers. Some are capable of doing both. Make sure that you choose a drawing tablet that works fluidly with your computer and operating system of choice. Before going any further, you should find out how your new tablet will connect to your computer. Does it utilize a USB cable or is the tablet compatible with Bluetooth? Either option will work exceptionally well, but you’ll need to choose the one that is right for you. If you want maximum freedom, you should do ahead and choose a tablet that is Bluetooth compatible. This will allow you to completely avoid the cord. It is absolutely pertinent to make sure that you choose a brand that is going to be reliable. Some brands are unknown, while others have been around for a long period of time. There is a good chance that you’ve heard of Wacom. With this brand, you can guarantee that you’re getting a good deal and that you’ll receive good customer service. Make sure that you do your research to ensure that you choose a brand that you can trust! It is also vital to carefully inspect the size of the tablet. A bigger tablet is a good idea for most people. With a bigger space to play around with, you’ll be able to draw fluidly, without needing to center your stylus every so often. However, you should realize that a bigger device will be more difficult to transport. Therefore, you will need to find a middle ground. Make sure you have plenty of space to move your stylus, but also make sure that the tablet suits your traveling preferences. Finally, you should go above and beyond to ensure that your drawing tablet is going to last for many years to come. These devices are very reliable, but there is still plenty of things that can go wrong. To ensure that you get your money’s worth, it is wise to choose a tablet that is protected by a lengthy warranty. Make sure that your tablet of choice is protected by at least a one-year warranty. Anything longer is even better.